4151301 PC410-5 KOMATSU PC410-5 Crawler excavator "PC 410" series. Spare Parts Catalog. Service (workshop) Manual. Operator's Instruction Manual. 4151302 PC410LC-5 KOMATSU PC410LC-5 Crawler excavator "PC 410" series. Spare Parts Catalog. Service (workshop) Manual. Operator's Instruction Manual. 4151304 PC450-10 KOMATSU PC450-10 Crawler excavator "PC 450" series. Spare Parts Catalog. Service (workshop) Manual. Operator's Instruction Manual. 4151305 PC450-6 KOMATSU PC450-6 Crawler excavator "PC 450" series. Spare Parts Catalog. Service (workshop) Manual. Operator's Instruction Manual. 4151306 PC450-6K KOMATSU PC450-6K Crawler excavator "PC 450" series. Spare Parts Catalog. Service (workshop) Manual. Operator's Instruction Manual. 4151307 PC450-6Z KOMATSU PC450-6Z Crawler excavator "PC 450" series. Spare Parts Catalog. Service (workshop) Manual. Operator's Instruction Manual. 4151308 PC450-7 KOMATSU PC450-7 Crawler excavator "PC 450" series. Spare Parts Catalog. Service (workshop) Manual. Operator's Instruction Manual. 4151309 PC450-7E0 KOMATSU PC450-7E0 Crawler excavator "PC 450" series. Spare Parts Catalog. Service (workshop) Manual. Operator's Instruction Manual. 4151310 PC450-7K KOMATSU PC450-7K Crawler excavator "PC 450" series. Spare Parts Catalog. Service (workshop) Manual. Operator's Instruction Manual. 4151311 PC450-7K-E0 KOMATSU PC450-7K-E0 Crawler excavator "PC 450" series. Spare Parts Catalog. Service (workshop) Manual. Operator's Instruction Manual. 4151312 PC450-7M1 KOMATSU PC450-7M1 Crawler excavator "PC 450" series. Spare Parts Catalog. Service (workshop) Manual. Operator's Instruction Manual. 4151313 PC450-8 KOMATSU PC450-8 Crawler excavator "PC 450" series. Spare Parts Catalog. Service (workshop) Manual. Operator's Instruction Manual. 4151314 PC450-8R KOMATSU PC450-8R Crawler excavator "PC 450" series. Spare Parts Catalog. Service (workshop) Manual. Operator's Instruction Manual. 4151315 PC450LC-10 KOMATSU PC450LC-10 Crawler excavator "PC 450" series. Spare Parts Catalog. Service (workshop) Manual. Operator's Instruction Manual. 4151316 PC450LC-6 KOMATSU PC450LC-6 Crawler excavator "PC 450" series. Spare Parts Catalog. Service (workshop) Manual. Operator's Instruction Manual. 4151317 PC450LC-6K KOMATSU PC450LC-6K Crawler excavator "PC 450" series. Spare Parts Catalog. Service (workshop) Manual. Operator's Instruction Manual. 4151318 PC450LC-6K-J KOMATSU PC450LC-6K-J Crawler excavator "PC 450" series. Spare Parts Catalog. Service (workshop) Manual. Operator's Instruction Manual. 4151319 PC450LC-6Z KOMATSU PC450LC-6Z Crawler excavator "PC 450" series. Spare Parts Catalog. Service (workshop) Manual. Operator's Instruction Manual. 4151320 PC450LC-7 KOMATSU PC450LC-7 Crawler excavator "PC 450" series. Spare Parts Catalog. Service (workshop) Manual. Operator's Instruction Manual. 4151321 PC450LC-7E0 KOMATSU PC450LC-7E0 Crawler excavator "PC 450" series. Spare Parts Catalog. Service (workshop) Manual. Operator's Instruction Manual. 4151322 PC450LC-7K KOMATSU PC450LC-7K Crawler excavator "PC 450" series. Spare Parts Catalog. Service (workshop) Manual. Operator's Instruction Manual. 4151323 PC450LC-7K-E0 KOMATSU PC450LC-7K-E0 Crawler excavator "PC 450" series. Spare Parts Catalog. Service (workshop) Manual. Operator's Instruction Manual. 4151324 PC450LC-7M1 KOMATSU PC450LC-7M1 Crawler excavator "PC 450" series. Spare Parts Catalog. Service (workshop) Manual. Operator's Instruction Manual. 4151325 PC450LC-8 KOMATSU PC450LC-8 Crawler excavator "PC 450" series. Spare Parts Catalog. Service (workshop) Manual. Operator's Instruction Manual. 4151326 PC450LC-8K KOMATSU PC450LC-8K Crawler excavator "PC 450" series. Spare Parts Catalog. Service (workshop) Manual. Operator's Instruction Manual. 4151327 PC450LC-8R KOMATSU PC450LC-8R Crawler excavator "PC 450" series. Spare Parts Catalog. Service (workshop) Manual. Operator's Instruction Manual. 4151328 PC450LCHD-8 KOMATSU PC450LCHD-8 Crawler excavator "PC 450" series. Spare Parts Catalog. Service (workshop) Manual. Operator's Instruction Manual. 4151330 PC490-10 KOMATSU PC490-10 Crawler excavator "PC 490" series. Spare Parts Catalog. Service (workshop) Manual. Operator's Instruction Manual. 4151331 PC490LC-10 KOMATSU PC490LC-10 Crawler excavator "PC 490" series. Spare Parts Catalog. Service (workshop) Manual. Operator's Instruction Manual. 4151333 PC550LC-8 KOMATSU PC550LC-8 Crawler excavator "PC 550" series. Spare Parts Catalog. Service (workshop) Manual. Operator's Instruction Manual. 4151335 PC600-6 KOMATSU PC600-6 Crawler excavator "PC 600" series. Spare Parts Catalog. Service (workshop) Manual. Operator's Instruction Manual. 4151336 PC600-6K KOMATSU PC600-6K Crawler excavator "PC 600" series. Spare Parts Catalog. Service (workshop) Manual. Operator's Instruction Manual. 4151337 PC600-7 KOMATSU PC600-7 Crawler excavator "PC 600" series. Spare Parts Catalog. Service (workshop) Manual. Operator's Instruction Manual. 4151338 PC600-7K KOMATSU PC600-7K Crawler excavator "PC 600" series. Spare Parts Catalog. Service (workshop) Manual. Operator's Instruction Manual. 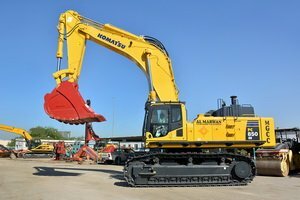 4151339 PC600-7-M1 KOMATSU PC600-7-M1 Crawler excavator "PC 600" series. Spare Parts Catalog. Service (workshop) Manual. Operator's Instruction Manual. 4151340 PC600-8 KOMATSU PC600-8 Crawler excavator "PC 600" series. Spare Parts Catalog. Service (workshop) Manual. Operator's Instruction Manual. 4151341 PC600-8E0 KOMATSU PC600-8E0 Crawler excavator "PC 600" series. Spare Parts Catalog. Service (workshop) Manual. Operator's Instruction Manual. 4151342 PC600-8R KOMATSU PC600-8R Crawler excavator "PC 600" series. Spare Parts Catalog. Service (workshop) Manual. Operator's Instruction Manual. 4151343 PC600-8R1 KOMATSU PC600-8R1 Crawler excavator "PC 600" series. Spare Parts Catalog. Service (workshop) Manual. Operator's Instruction Manual. 4151344 PC600LC-6 KOMATSU PC600LC-6 Crawler excavator "PC 600" series. Spare Parts Catalog. Service (workshop) Manual. Operator's Instruction Manual. 4151345 PC600LC-6K KOMATSU PC600LC-6K Crawler excavator "PC 600" series. Spare Parts Catalog. Service (workshop) Manual. Operator's Instruction Manual. 4151346 PC600LC-7 KOMATSU PC600LC-7 Crawler excavator "PC 600" series. Spare Parts Catalog. Service (workshop) Manual. Operator's Instruction Manual. 4151347 PC600LC-7K KOMATSU PC600LC-7K Crawler excavator "PC 600" series. Spare Parts Catalog. Service (workshop) Manual. Operator's Instruction Manual. 4151348 PC600LC-7-M1 KOMATSU PC600LC-7-M1 Crawler excavator "PC 600" series. Spare Parts Catalog. Service (workshop) Manual. Operator's Instruction Manual. 4151349 PC600LC-8 KOMATSU PC600LC-8 Crawler excavator "PC 600" series. Spare Parts Catalog. Service (workshop) Manual. Operator's Instruction Manual. 4151350 PC600LC-8E0 KOMATSU PC600LC-8E0 Crawler excavator "PC 600" series. Spare Parts Catalog. Service (workshop) Manual. Operator's Instruction Manual. 4151351 PC600LC-8R KOMATSU PC600LC-8R Crawler excavator "PC 600" series. Spare Parts Catalog. Service (workshop) Manual. Operator's Instruction Manual. 4151352 PC600LC-8R1 KOMATSU PC600LC-8R1 Crawler excavator "PC 600" series. Spare Parts Catalog. Service (workshop) Manual. Operator's Instruction Manual. 4151353 PC600SE-8E0 KOMATSU PC600SE-8E0 Crawler excavator "PC 600" series. Spare Parts Catalog. Service (workshop) Manual. Operator's Instruction Manual. 4151355 PC650-1 KOMATSU PC650-1 Crawler excavator "PC 650" series. Spare Parts Catalog. Service (workshop) Manual. Operator's Instruction Manual. 4151356 PC650-3 KOMATSU PC650-3 Crawler excavator "PC 650" series. Spare Parts Catalog. Service (workshop) Manual. Operator's Instruction Manual. 4151357 PC650-5 KOMATSU PC650-5 Crawler excavator "PC 650" series. Spare Parts Catalog. Service (workshop) Manual. Operator's Instruction Manual. 4151358 PC650-6 KOMATSU PC650-6 Crawler excavator "PC 650" series. Spare Parts Catalog. Service (workshop) Manual. Operator's Instruction Manual. 4151359 PC650-7 KOMATSU PC650-7 Crawler excavator "PC 650" series. Spare Parts Catalog. Service (workshop) Manual. Operator's Instruction Manual. 4151360 PC650-7-M1 KOMATSU PC650-7-M1 Crawler excavator "PC 650" series. Spare Parts Catalog. Service (workshop) Manual. Operator's Instruction Manual. 4151361 PC650-8 KOMATSU PC650-8 Crawler excavator "PC 650" series. Spare Parts Catalog. Service (workshop) Manual. Operator's Instruction Manual. 4151362 PC650-8E0 KOMATSU PC650-8E0 Crawler excavator "PC 650" series. Spare Parts Catalog. Service (workshop) Manual. Operator's Instruction Manual. 4151363 PC650LC-3 KOMATSU PC650LC-3 Crawler excavator "PC 650" series. Spare Parts Catalog. Service (workshop) Manual. Operator's Instruction Manual. 4151364 PC650LC-5 KOMATSU PC650LC-5 Crawler excavator "PC 650" series. Spare Parts Catalog. Service (workshop) Manual. Operator's Instruction Manual. 4151365 PC650LC-6 KOMATSU PC650LC-6 Crawler excavator "PC 650" series. Spare Parts Catalog. Service (workshop) Manual. Operator's Instruction Manual. 4151366 PC650LC-7 KOMATSU PC650LC-7 Crawler excavator "PC 650" series. Spare Parts Catalog. Service (workshop) Manual. Operator's Instruction Manual. 4151367 PC650LC-7-M1 KOMATSU PC650LC-7-M1 Crawler excavator "PC 650" series. Spare Parts Catalog. Service (workshop) Manual. Operator's Instruction Manual. 4151368 PC650LC-8 KOMATSU PC650LC-8 Crawler excavator "PC 650" series. Spare Parts Catalog. Service (workshop) Manual. Operator's Instruction Manual. 4151369 PC650LC-8E0 KOMATSU PC650LC-8E0 Crawler excavator "PC 650" series. Spare Parts Catalog. Service (workshop) Manual. Operator's Instruction Manual. 4151370 PC650SE-3 KOMATSU PC650SE-3 Crawler excavator "PC 650" series. Spare Parts Catalog. Service (workshop) Manual. Operator's Instruction Manual. 4151371 PC650SE-5 KOMATSU PC650SE-5 Crawler excavator "PC 650" series. Spare Parts Catalog. Service (workshop) Manual. Operator's Instruction Manual. 4151372 PC650SE-8E0 KOMATSU PC650SE-8E0 Crawler excavator "PC 650" series. Spare Parts Catalog. Service (workshop) Manual. Operator's Instruction Manual. 4151374 PC700LC-8E0 KOMATSU PC700LC-8E0 Crawler excavator "PC 700" series. Spare Parts Catalog. Service (workshop) Manual. Operator's Instruction Manual. 4151375 PC700LC-8R KOMATSU PC700LC-8R Crawler excavator "PC 700" series. Spare Parts Catalog. Service (workshop) Manual. Operator's Instruction Manual. 4151377 PC710-5 KOMATSU PC710-5 Crawler excavator "PC 710" series. Spare Parts Catalog. Service (workshop) Manual. Operator's Instruction Manual. 4151378 PC710SE-5 KOMATSU PC710SE-5 Crawler excavator "PC 710" series. Spare Parts Catalog. Service (workshop) Manual. Operator's Instruction Manual. 4151380 PC750-6 KOMATSU PC750-6 Crawler excavator "PC 750" series. Spare Parts Catalog. Service (workshop) Manual. Operator's Instruction Manual. 4151381 PC750-7 KOMATSU PC750-7 Crawler excavator "PC 750" series. Spare Parts Catalog. Service (workshop) Manual. Operator's Instruction Manual. 4151382 PC750-7 Galeo KOMATSU PC750-7 Galeo Crawler excavator "PC 750" series. Spare Parts Catalog. Service (workshop) Manual. Operator's Instruction Manual. 4151383 PC750LC-6 KOMATSU PC750LC-6 Crawler excavator "PC 750" series. Spare Parts Catalog. Service (workshop) Manual. Operator's Instruction Manual. 4151384 PC750LC-6K KOMATSU PC750LC-6K Crawler excavator "PC 750" series. Spare Parts Catalog. Service (workshop) Manual. Operator's Instruction Manual. 4151385 PC750LC-7 KOMATSU PC750LC-7 Crawler excavator "PC 750" series. Spare Parts Catalog. Service (workshop) Manual. Operator's Instruction Manual. 4151386 PC750LC-7 Galeo KOMATSU PC750LC-7 Galeo Crawler excavator "PC 750" series. Spare Parts Catalog. Service (workshop) Manual. Operator's Instruction Manual. 4151387 PC750LC-7K KOMATSU PC750LC-7K Crawler excavator "PC 750" series. Spare Parts Catalog. Service (workshop) Manual. Operator's Instruction Manual. 4151388 PC750SE-6 KOMATSU PC750SE-6 Crawler excavator "PC 750" series. Spare Parts Catalog. Service (workshop) Manual. Operator's Instruction Manual. 4151389 PC750SE-6K KOMATSU PC750SE-6K Crawler excavator "PC 750" series. Spare Parts Catalog. Service (workshop) Manual. Operator's Instruction Manual. 4151390 PC750SE-6K-J KOMATSU PC750SE-6K-J Crawler excavator "PC 750" series. Spare Parts Catalog. Service (workshop) Manual. Operator's Instruction Manual. 4151391 PC750SE-7 KOMATSU PC750SE-7 Crawler excavator "PC 750" series. Spare Parts Catalog. Service (workshop) Manual. Operator's Instruction Manual. 4151392 PC750SE-7 Galeo KOMATSU PC750SE-7 Galeo Crawler excavator "PC 750" series. Spare Parts Catalog. Service (workshop) Manual. Operator's Instruction Manual. 4151393 PC750SE-7K KOMATSU PC750SE-7K Crawler excavator "PC 750" series. Spare Parts Catalog. Service (workshop) Manual. Operator's Instruction Manual. 4151394 PC750SE-7-M1 KOMATSU PC750SE-7-M1 Crawler excavator "PC 750" series. Spare Parts Catalog. Service (workshop) Manual. Operator's Instruction Manual. 4151396 PC800-6 KOMATSU PC800-6 Crawler excavator "PC 800" series. Spare Parts Catalog. Service (workshop) Manual. Operator's Instruction Manual. 4151397 PC800-7 KOMATSU PC800-7 Crawler excavator "PC 800" series. Spare Parts Catalog. Service (workshop) Manual. Operator's Instruction Manual. 4151398 PC800-7 Galeo KOMATSU PC800-7 Galeo Crawler excavator "PC 800" series. Spare Parts Catalog. Service (workshop) Manual. Operator's Instruction Manual. 4151399 PC800-8 KOMATSU PC800-8 Crawler excavator "PC 800" series. Spare Parts Catalog. Service (workshop) Manual. Operator's Instruction Manual. 4151400 PC800-8E0 KOMATSU PC800-8E0 Crawler excavator "PC 800" series. Spare Parts Catalog. Service (workshop) Manual. Operator's Instruction Manual. 4151401 PC800-8K KOMATSU PC800-8K Crawler excavator "PC 800" series. Spare Parts Catalog. Service (workshop) Manual. Operator's Instruction Manual. 4151402 PC800-8R KOMATSU PC800-8R Crawler excavator "PC 800" series. Spare Parts Catalog. Service (workshop) Manual. Operator's Instruction Manual. 4151403 PC800LC-8 KOMATSU PC800LC-8 Crawler excavator "PC 800" series. Spare Parts Catalog. Service (workshop) Manual. Operator's Instruction Manual. 4151404 PC800LC-8E0 KOMATSU PC800LC-8E0 Crawler excavator "PC 800" series. Spare Parts Catalog. Service (workshop) Manual. Operator's Instruction Manual. 4151405 PC800LC-8K KOMATSU PC800LC-8K Crawler excavator "PC 800" series. Spare Parts Catalog. Service (workshop) Manual. Operator's Instruction Manual. 4151406 PC800LC-8R KOMATSU PC800LC-8R Crawler excavator "PC 800" series. Spare Parts Catalog. Service (workshop) Manual. Operator's Instruction Manual. 4151407 PC800SE-6 KOMATSU PC800SE-6 Crawler excavator "PC 800" series. Spare Parts Catalog. Service (workshop) Manual. Operator's Instruction Manual. 4151408 PC800SE-7 KOMATSU PC800SE-7 Crawler excavator "PC 800" series. Spare Parts Catalog. Service (workshop) Manual. Operator's Instruction Manual. 4151409 PC800SE-7 Galeo KOMATSU PC800SE-7 Galeo Crawler excavator "PC 800" series. Spare Parts Catalog. Service (workshop) Manual. Operator's Instruction Manual. 4151410 PC800SE-8 KOMATSU PC800SE-8 Crawler excavator "PC 800" series. Spare Parts Catalog. Service (workshop) Manual. Operator's Instruction Manual. 4151411 PC800SE-8E0 KOMATSU PC800SE-8E0 Crawler excavator "PC 800" series. Spare Parts Catalog. Service (workshop) Manual. Operator's Instruction Manual. 4151412 PC800SE-8R KOMATSU PC800SE-8R Crawler excavator "PC 800" series. Spare Parts Catalog. Service (workshop) Manual. Operator's Instruction Manual. 4151414 PC850-8 KOMATSU PC850-8 Crawler excavator "PC 850" series. Spare Parts Catalog. Service (workshop) Manual. Operator's Instruction Manual. 4151415 PC850-8E0 KOMATSU PC850-8E0 Crawler excavator "PC 850" series. Spare Parts Catalog. Service (workshop) Manual. Operator's Instruction Manual. 4151416 PC850-8R KOMATSU PC850-8R Crawler excavator "PC 850" series. Spare Parts Catalog. Service (workshop) Manual. Operator's Instruction Manual. 4151417 PC850-8R1 KOMATSU PC850-8R1 Crawler excavator "PC 850" series. Spare Parts Catalog. Service (workshop) Manual. Operator's Instruction Manual. 4151418 PC850SE-8 KOMATSU PC850SE-8 Crawler excavator "PC 850" series. Spare Parts Catalog. Service (workshop) Manual. Operator's Instruction Manual. 4151419 PC850SE-8E0 KOMATSU PC850SE-8E0 Crawler excavator "PC 850" series. Spare Parts Catalog. Service (workshop) Manual. Operator's Instruction Manual. 4151420 PC850SE-8R KOMATSU PC850SE-8R Crawler excavator "PC 850" series. Spare Parts Catalog. Service (workshop) Manual. Operator's Instruction Manual. 4151421 PC850SE-8R1 KOMATSU PC850SE-8R1 Crawler excavator "PC 850" series. Spare Parts Catalog. Service (workshop) Manual. Operator's Instruction Manual. 4151423 PC1000-1 KOMATSU PC1000-1 Crawler excavator "PC 1000" series. Spare Parts Catalog. Service (workshop) Manual. Operator's Instruction Manual. 4151424 PC1000LC-1 KOMATSU PC1000LC-1 Crawler excavator "PC 1000" series. Spare Parts Catalog. Service (workshop) Manual. Operator's Instruction Manual. 4151425 PC1000SE-1 KOMATSU PC1000SE-1 Crawler excavator "PC 1000" series. Spare Parts Catalog. Service (workshop) Manual. Operator's Instruction Manual. 4151426 PC1000SP-1 KOMATSU PC1000SP-1 Crawler excavator "PC 1000" series. Spare Parts Catalog. Service (workshop) Manual. Operator's Instruction Manual. 4151428 PC1100-6 KOMATSU PC1100-6 Crawler excavator "PC 1100" series. Spare Parts Catalog. Service (workshop) Manual. Operator's Instruction Manual. 4151429 PC1100LC-6 KOMATSU PC1100LC-6 Crawler excavator "PC 1100" series. Spare Parts Catalog. Service (workshop) Manual. Operator's Instruction Manual. 4151430 PC1100SE-6 KOMATSU PC1100SE-6 Crawler excavator "PC 1100" series. Spare Parts Catalog. Service (workshop) Manual. Operator's Instruction Manual. 4151432 PC1250-7 KOMATSU PC1250-7 Crawler excavator "PC 1250" series. Spare Parts Catalog. Service (workshop) Manual. Operator's Instruction Manual. 4151433 PC1250-8 KOMATSU PC1250-8 Crawler excavator "PC 1250" series. Spare Parts Catalog. Service (workshop) Manual. Operator's Instruction Manual. 4151434 PC1250-8R KOMATSU PC1250-8R Crawler excavator "PC 1250" series. Spare Parts Catalog. Service (workshop) Manual. Operator's Instruction Manual. 4151435 PC1250LC-7 KOMATSU PC1250LC-7 Crawler excavator "PC 1250" series. Spare Parts Catalog. Service (workshop) Manual. Operator's Instruction Manual. 4151436 PC1250LC-8 KOMATSU PC1250LC-8 Crawler excavator "PC 1250" series. Spare Parts Catalog. Service (workshop) Manual. Operator's Instruction Manual. 4151437 PC1250SE-7 KOMATSU PC1250SE-7 Crawler excavator "PC 1250" series. Spare Parts Catalog. Service (workshop) Manual. Operator's Instruction Manual. 4151438 PC1250SE-8 KOMATSU PC1250SE-8 Crawler excavator "PC 1250" series. Spare Parts Catalog. Service (workshop) Manual. Operator's Instruction Manual. 4151439 PC1250SP-7 KOMATSU PC1250SP-7 Crawler excavator "PC 1250" series. Spare Parts Catalog. Service (workshop) Manual. Operator's Instruction Manual. 4151440 PC1250SP-8 KOMATSU PC1250SP-8 Crawler excavator "PC 1250" series. Spare Parts Catalog. Service (workshop) Manual. Operator's Instruction Manual. 4151441 PC1250SP-8R KOMATSU PC1250SP-8R Crawler excavator "PC 1250" series. Spare Parts Catalog. Service (workshop) Manual. Operator's Instruction Manual.